Richard F has been urging me to talk about features I love every friday. I am not committing to make this a weekly feature (no pun intended). One weekly committment is enough. But I will try to run posts about features I love and new features on Fridays under this moniker. We are looking at the view called "DJs needed". This view lets you quickly see the busiest rooms in the service where there are DJ spots available. Before this feature was released, all you would see in the lobby was the busiest rooms. But the real thrill of Turntable is getting up on stage and seeing if you can deliver the goods. I do it at least three of four times a week. It's a kick. This feature was among the most commonly requested things users have asked for since the Turntable service launched. Harking back to yesterday's post about focusing on your loyal users, I believe one of the keys to success early in a company's life is listening closely to the users and then delivering quickly on the things they ask for. That creates trust and loyalty, two important traits in an early user base. 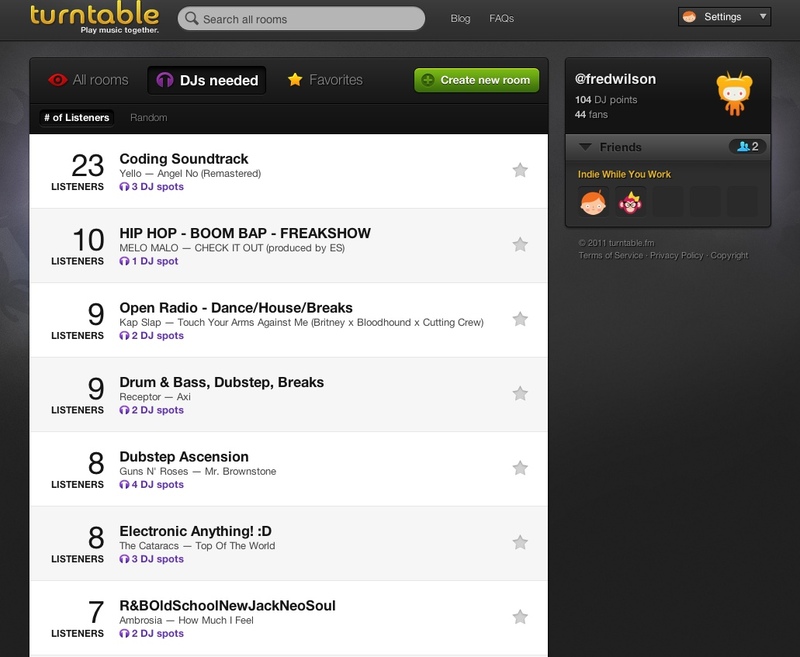 So now when you visit Turntable, click on the DJs needed icon in the lobby, and go into a room and start showing your stuff. I think you'll enjoy it. I certainly do.